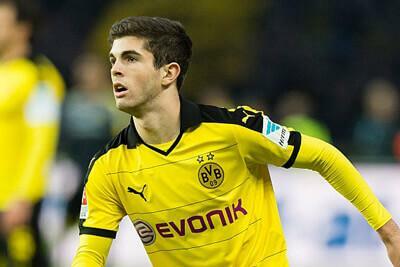 Liverpool have officially made a £11 million bid Borussia Dortmund’s teenager, Christian Pulisic. He’s one of the most highly-rated young players in Europe at moment and is someone who Klopp worked with extensively at Dortmund, so it’s no surprise that Reds around the world have been reacting with delight. Of course, there are question marks around where he’d play and how much of a role he’d play this season if he were to join, but the reception to the news has been positive. Normally I would be very happy with Pulisic but since our defense and midfield needs the money so much I just can’t be *that* happy. How are people disappointed at us going after Pulisic? He is one of the best young talents in Europe! It would be great to get Pulisic, at least we know now for sure Klopp isn’t finished in the transfer market. Good news. This Pulisic news is good news, because it all but confirms Klopp is still in the market. ?